Oooh!! ...Light fabrics with colorful prints and comfy lines? They just make us wish the same styles were also made in moms' sizes. 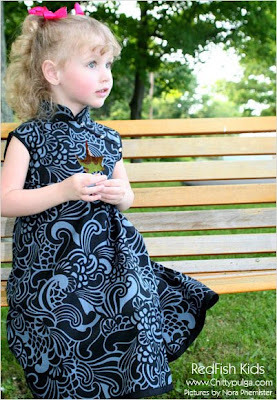 Talking about never outgrowing these dresses, designer Lorraine Kitsos, the brain behind RedFish Kids and also a mother of two, decided to create clothes knowing firsthand, what moms need from their children clothing. 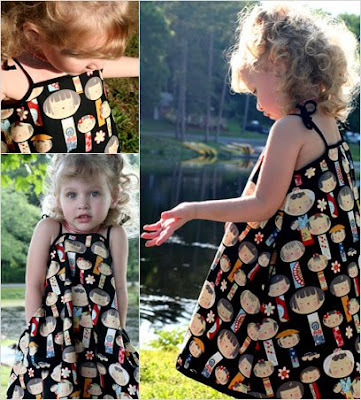 So, she made it easy and came up with outfits like the Swing Dress in Asian Dolls print, a dress that turns into a smock when it gets too short. Match it with a pair of jeans or trousers and it will still look great.. never small. 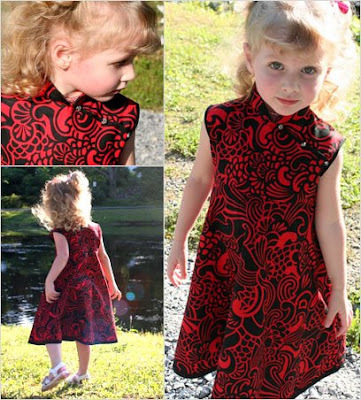 ...One of our favorite dresses from RedFish Kids, the Mandarin Swing Dress in Old World. A great outfit with vibrant colors, perfect for a birthday celebration during the summer and a very appropriate design for the holidays, matched with long sleeves and leggings underneath .. Just gorgeous!! Are you loving RedFish Kids as much as we do?? Take advantage then... Chittypulga, is offering a 10% OFF on any RedFish Kids item until July 31st. Enter code CHITTY10 at the top of your shopping basket and also get Free Ground Shipping on any order over $100.